The Origin EON15-S and EVO17-S are lightweight for gaming laptops but still support Intel's 6-core monster. The laptops we’ve seen with Intel’s debut Core i9 mobile processor so far lean toward extremes. On one hand, you’ve got big, beefy notebooks like the Alienware 17 R5 with cooling galore to let the 6-core CPU scream long and hard. Then, you’ve got the slim, svelte MacBook Pro and all the throttling issues that come with restricting a monster chip in such a small package. 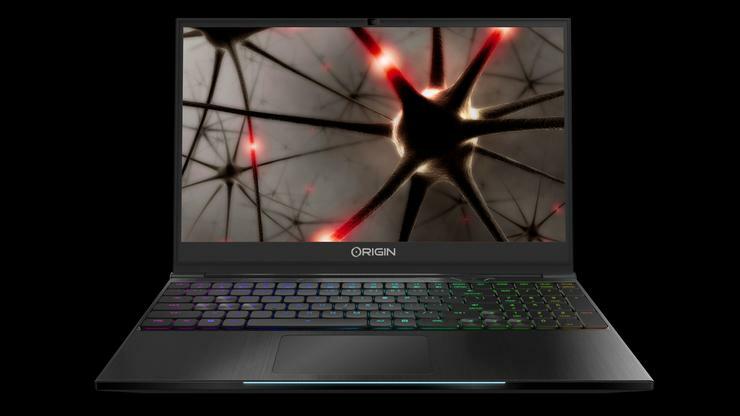 Now, Origin PC’s splitting the difference by housing the Core i9 inside its EON15-S and all-new EVO17-S gaming laptops. Both measure in at just under an inch thin. The EON15-S is the most intriguing of the pair, because it weighs a scant 3.4 pounds—even less than the MacBook Pro. But at 0.94- to 0.75-inch of thickness, it should have more than enough room to tame Intel’s beast. The laptop’s GeForce GTX 1060 should have no trouble driving the 15.6-inch 1080p display, and you can beef the system up with up to a pair of 2TB m.2 SSDs and 32GB of RAM. Also equipped: A hybrid mechanical keyboard with per-key RGB backlighting. The rear of the EVO17-S.
Origin’s also launching a larger version of the EVO15-S we reviewed and loved late last year. The aptly named EVO17-S sports a bigger 17-inch screen available with Nvidia’s stutter-stopping G-Sync tech in either 4K or 1080p resolution. 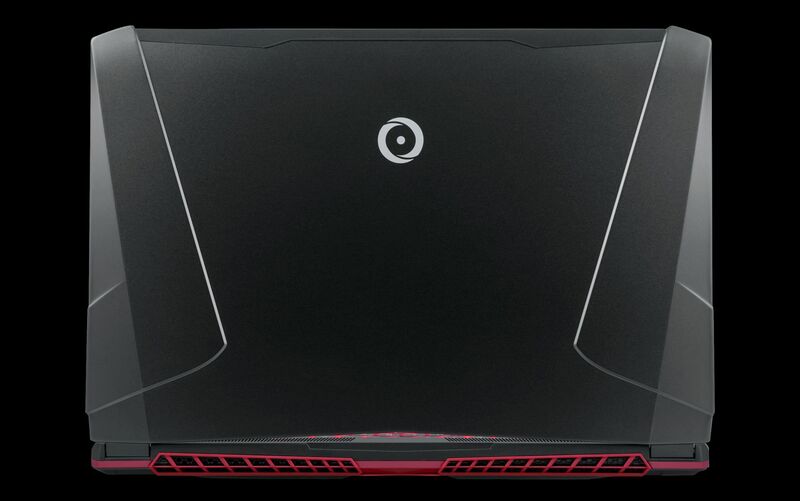 It’s powered by up to a GeForce GTX 1070 and yes, Core i9, but the 0.98-inch thick notebook still weighs in at a relatively scant (for a gaming PC) 6.6 pounds. Its storage and memory options are similar to the EON15-S’s, but you can add a single 2.5-inch SSD or HDD with up to an extra 4TB of space if you want. Both laptops launched Wednesday, with the refreshed EON15-S starting at $1,449 and the EON17-S starting at $1,999—emphasis on starting. You won’t get a Core i9 for that price. The EON15-S offers only a 6-core Core i7-8750H at release, but a Core i9 option “will be available soon.” You can find them both on the Origin PC website. Workstation version of the laptops were also launched, dubbed the NS-15S and NT-17, and all Origin PCs come with free lifetime 24/7 tech support and free lifetime labor. Origin PC’s known for building badass rigs, so hopefully the EON15-S and EVO17-S give Core i9’s high clock speeds plenty of headroom despite their lightweight designs. The company’s offering its custom CPU and GPU overclocking option for the EVO17-S, so that’s an encouraging sign. Reviews will tell. In the meantime, be sure to read up on whether you even need a Core i9 laptop, and check out our guide to the best gaming notebooks around to get a lay of the land. 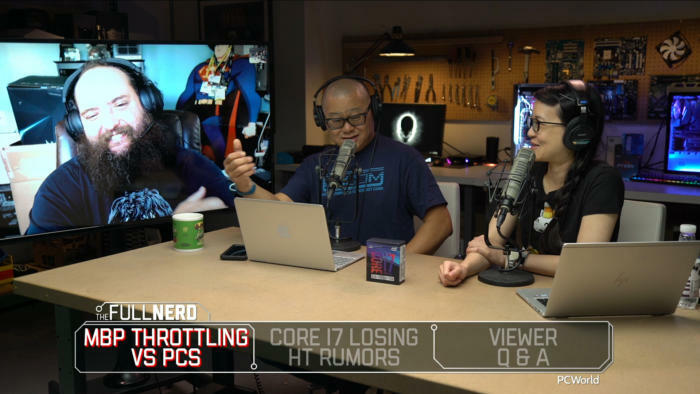 You can also watch our Full Nerd crew discuss how laptop design affects Core i9 performance in the video below.